An interview with Steve Schoger, designer and creator or co-creator of many online tools like Tailwind and Refactoring UI and Heroicons and Zondicons. 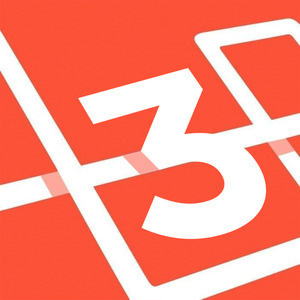 Welcome back to the Laravel podcast season three. Today, I'm going to be talking to Steve Schoger, co-creator of Refactoring UI and about 10,000 other products you probably already use. All right, welcome back to Laravel podcast season three. It has been a minute. It's been a couple months since the last one, and we're going to roll up, finish up season three. And I let you all vote on who you wanted to hear from. So, we got three people who were at the end. And the first one is Steve Schoger, designer extraordinaire, Twitter fame, making books, and making dollars. And Steve and I have known each other for a while. We work together at Titan for a while. I've also learned a lot about design from him. So, I'm really excited to hear not about Steve the designer quite so much, but about Steve the person. So, first of all, Steve, the first thing I always ask everybody is first of all say hi to people, and then second of all, if you're meeting somebody in the grocery store and they ask what do you do? How do you answer that question of them? So, let's get started with that. Yeah. Sure. I usually introduce myself as my formal title. I usually say UI graphic designer. Even that's weird, because depending on where you work, my job title might be different. It's either UI graphic designer, visual designer, but I usually say like, yeah UI designer. And usually they have a clueless look on their face. I usually say I design websites. Is the easy answer. It feels like it's a little bit of a lame answer. I say the same thing all the time. I'm like, "I make websites." I know [crosstalk 00:01:48] get all technical, but they won't get it. And then some people are just completely like, if I'm talking to someone older, they'll be like, "Oh, so you design books?" I'm just like, "Yeah, I do." It's easier to say yeah and move on and by your tomatoes than actually have to answer it. Yeah. My go to for a while has been I make websites, and I'm getting more and more dissatisfied with it, because I did it for a good reason. It's hard to have that conversation with those people, but then everyone's like, "oh, can you make my website for my Mom and Pop Sausage Shop." Or something like that in WordPress. And I'm like, "No. No, I'm sorry." I know some people who make websites. So, now I'm like, "I make web applications." I don't know anyway. So, okay. So, you are right now coming off the heels of a successful launch of Refactoring UI and everybody in the entire internet heard about this thing and it's super exciting, but just a couple years ago, you were working a nine-to-five, and you had not achieved the level of Twitter fame. So, we're going to walk through that process. But before we go there, I want to learn a little bit about who makes the man who we know today. So, where are you from originally? And when did you first get into design? Even in the earliest stages. Whether it was drawing on your wallet at age three or whatever. What are the steps you can remember that really got you to the point where you realized that design or art or creativity in general were things you might be interested in long-term? Yeah. So, to your first question. I'm from Ontario, Canada, and I'm from a city called Kitchner. Which is about a hundred kilometers outside of Toronto. And it's a population of 200,000, is the city of Kitchener, but it's this Tri-City thing. There's three cities next to each other to make one big city, which is about about half a million people. And I actually grew up on a small town outside of ... that's the city I live in now, which is Kitchener, which is a city, a small town of 200, 300 people. Yeah and and I started getting into design, I guess, when ... kinda what you said, I started drawing when I was a little kid. I guess, my mom put this miniature horse in front of me when I was ... I can't even recall this, it was like when I was a baby almost and I'd draw it, but I could ... she acknowledged that I could draw depth. You know when people draw a horse or something, they draw a stick figure or something, but I actually drew the depth of it. Yeah, exactly. And she saw, "Okay. There's Talent here." And, I guess, that's the earliest form of what I do. So, I've always been into art and when I was younger, I wanted to be an animator/ I'd watch a lot of cartoons cool stuff. And I didn't really ... when I was younger, the job I have now was not even a job. So, I never designed on the computers until I got to like ... Actually, the first time I used Photoshop was my first day of college. Yeah. So, I'd be doing art and stuff and I'd take graphic design courses in high school, but they're not computer based graphic design. It's school, low-budget, you're working with pen and paper, and you're drawing letters and stuff. Using rulers and all that stuff. Now, what was that, because your teacher said, "Oh, there's all this newfangled stuff. But we want you to know the basics." Or was it not even in the context of the newfangled stuff and they just said this is what graphic design is? Yeah. I mean, I didn't really ... I guess, that's what I thought graphic design was, and then when I got to college then I started using Photoshop, and everyone around me in the classroom got a handle on Photoshop. They already knew their way around a little bit, but the course I took, it wasn't graphic design. It was multimedia design production. So, that's everything from graphic design to to video, to a little bit of development, to even a little bit of music production, because I didn't know I wanted to do graphic design. So, I took a ... but I knew I wanted to do something in media. Okay. So, when you went up to college, you just said, "I want to do something media-related." And you were still trying to figure out what exactly, so you just tried a lot of different classes or? Well, it was a course called multimedia design and production. All those things I just said. And yeah, I just wanted to get my hands wet with everything, and figure it out from there. I didn't know what I wanted to do when I went to college. I didn't know what I wanted my career to be, let's put it that way. But you did have a sense that it was going to be creative and you were going to making ... So, basically was that class the full spectrum of potential careers you were thinking of that point? Okay it was a perfect all-in-one experience on all them. Did you come out of that class then knowing graphic design is it? Or did it still take some time to figure it out? No, no, because like, I guess, in high school, I wanted to be a rock star in high school. Yeah. Tell me more about this. Let's pause college. Tell me more about this. Yeah, I play guitar. I picked up a Guitar when I was grade eight. So when I was 12, I guess. And I got really into it, I'd spend four hours a day. I'd come home from high school and play guitar until I went to bed. That's amazing. All-electric or were you an acoustic as well? I started on acoustic. The way I got a guitar is my great grandma passed away and it was my inheritance. She didn't have the guitar, but the inheritance money went towards a guitar. So, I started playing acoustic and then I always wanted an electric guitar. So, I picked one up maybe first year of high school or something like that. And that's all I did. And I played in the high school bands and stuff. I played bass guitar in the high school band and stuff. So, when you were in high school, you legitimately were interested enough in that dream that you thought, "I'm going to graduate from high school and I'm going to join a band or start a band. And I'm going to tour the world, and that's where my money's going to come from."? Yes. That's what I believed. Because some people say that ... is kinda like the side dream. That was the dream. So, what dissuaded you from that dream? Well, my parents. They were like, "Well, you should consider going to school first, then maybe think about doing that." Okay. Yeah. Yeah. So, they were and trying to weave them together a little. Yeah. So, even when I was in multimedia design, I still had this music industry dream in mind. So, I did the multimedia course. I graduated from that, finished it, and then there was this music industry arts program at the same college. I went to Fanshawe College in London, Ontario. And it was really hard to get into it. But I applied for it anyway, right after I graduated from multimedia, and they accepted me. So, and I'm thinking, "Well, I might not be a rock star, but I'd love to be in the music industry right? I'd love to show you music production." So, that course covered everything from music business, to just being in the studio and recording artists, and all that stuff . Still an unrealistic dream. Look at the music industry now, right? But I took that course and, I mean, that's still my hobby today. So, I don't regret taking that course. I learned a lot out of that course, but then when I finished that program, I was interning at small record labels. And they all saw the multimedia design on my resume, and that's what I ended up doing at those labels, right? I end up doing a lot of web stuff. A lot of designing little brochures and one sheets. A lot of stuff like that. So, I was doing that more and more, and I kinda enjoyed it at this point. Because I was kinda doing it for something I really enjoy doing. But I wasn't getting paid, it was all internships and stuff. Right. And then I'm like, "Well, I got to get a job in this,." And I tried to follow my music industry path, but there was no money in it. So, I'm like, "Well, I just enjoy doing this anyway." So, this is in like 2009. So, right at the peak of the recession. It was impossible for me to get a job. I couldn't get a job anywhere, right? So, I'm thinking "Well, not a bad time for me to go back to school." And I already took multimedia, and I'm thinking "Well, what can leverage all these skills?" What can add to this? And I was thinking, maybe I'll take a look at marketing course or some kind of copywriting course. So, I took advertising and copy writing at Humber College. But, when I was in school, in that course, I spent way more time working ... I was making ads, and again in the course, I was making fake ads, right? But I spent way more time working on the creative, than actually the writing the copy. And that year I also spent a lot of time just learning web development. And I learned a little bit of this when I took multimedia, but I forgot everything I learned. So, I was real learning that stuff. And it was easy to pick up again. Real quick. What were you learning? Was it mainly HTML and CSS? [crosstalk 00:11:20] did you get into a CMS or anything like that, or not at that point? Yeah, I learned about ... I knew about WordPress and stuff. But even that was ... it was a little too technical for me at that point too, because WordPress you can use the templates, but I really wanted to make something unique. WordPress is always just like, you got the header, the content area, and the sidebar. Ad I didn't want that. I don't want that constraint. So, I just started hand coding, and I learned about a few other CMS's at the time. I don't even know what they were called if you asked. But I tried them out, and I found one that worked for me, and I built a little blog for myself, and I would never write, at all. But that's everyone who starts a Blog and has the attention of write a post every week. And some people succeed at it and I did not. So, I was doing that. And then during this time in school, maybe in the second semester, it was a one year program, like a post grad program. And I took, in the second semester of that, I spent a lot of time ... I realized I wanted to do web design, at this point. And if I found a job before I finished school, I would have just dropped out of school, because I already had two diplomas at this point. So, it wouldn't phase me to drop out. But I couldn't find a job, but I was doing informational interviews, where I would contact the company and say "I'm not looking for a job. I just want to learn what you guys do day-to-day, and learn about the company." And I did a quite a few of those, and it was my way of networking. And you know what? I did do a little bit of like, "Oh this job. This place is hiring a designer. I'm going to ask if they want to do an informational interview." And I did it with a few companies. And one of my informational interviews turn into a job interview and they offered me a job the day later. So, that's how I got my first job. So, tell me about the difference between an informational interview and a job interview when you know they're hiring? Was it, because you didn't think you would have the qualifications or do you think you're more likely to get in for the informational interview? What made you want to do this one type of interview versus just applying for the job? I recommend anyone, I recommend to everyone does that. If you're a student in school, and you're just maybe not confident enough to go for that first job interview. Just shoot ... most people ... very few people turned me down, for an informational interview. I mean, it makes sense. We've had a few people reach out for that. It seems so unique that I'm like "Yeah. Sure, I'll talk to you for a little bit. We can't always give you a full hour, but we'd love to chat with you a little bit about Titan." So, I hear that. That's really cool. Yeah, and I bring my portfolio in, and say "Hey, can you take a look at this and give me some feedback?" I'm a student. I'm still learning and I'd eventually like to work at a company like this. That kind of thing? Yeah, exactly. And I was more thinking about, I was going for visual design jobs, but then I was interviewing with companies, and they're looking for UX designers, and I didn't even understand the role at that point. What the difference between a UX designer and a visual designer is. And sometimes I still don't understand the difference. I think most people still don't get it. I still struggle. That sounds about right. So, I think, so. Yeah. Were you married yet at that point? No, but I was dating my now wife at the time. I met her in high school. And she's my high school heartthrob, and she rejected me in high school. Well, she liked me. She later confessed that she liked me, but friends and influence from that. Kind of like, "Oh no, he's gross." He's a rock star, you don't want to be with that kind of a guy. Yeah, but then later on we connected after I graduated from Fanshawe. We were talking on MSN at the time. MSN messenger. And that's how we really started to get to know each other, and then she came to visit me a few times, then we started dating. And then I sat a year off between when I graduated from Fanshawe and Humber, and that's when I really, I also spent that year figuring out what I wanted to do, working on my web design skills. And I was just getting to know my now wife at the time. And then we moved into together when I moved to Toronto. Okay. So, during those years in between, when you weren't in school, the reason I asked about her, I mean, first of all, I'm always curious, but also, were you living alone, working just side jobs while you figured this all out? Or what was your life situation during that time? [crosstalk 00:16:52] going back and forth here, because I'm stressing out and forgetting things. There was that year between Fanshawe and Humber. And that was me just getting more familiar with Photoshop again, because I haven't touched it in a long time, getting more familiar with code. And I was living with her, but not living with her. She was still a student. And I was just living at her place. Like, I was still living with my parents, but I was just always over at her place. I brought my computer over there and we just pretty much lived together. Were you doing freelance work at this point or? No no, lets do it. That's how I am with speaking. I am really uncomfortable doing public speaking, but I just force myself to do it, and now I'm doing a lot of talks this year, and I regret are doing every one of them, but it's like, "Well, I gotta do them." And I put myself in that situation, but it's like ... anyways. So, yeah. I was just working on my craft, I guess, in the in that time, right? With my girlfriend. And that's how I ... and I just bring a lot of blog posts, learning how to design. So, in 2010, you got your first job, and it came out of an information interview. So, a couple questions around there. What was your actual job supposed to be? And at that point where you primarily thinking of yourself as a UI visual designer? Had you started thinking about any of the other aspects of design that you do today? Because today obviously you're doing interface design, but there's a lot of UX embedded in the stuff that you're working on as well. So, how did you think of yourself then? And what was the actual job that you got? So, the formal title of the role, and this is goes back to different places have different titles, but the formal title was "interactive designer." And that could be the same as UI designer at our company, visual designer at another company. So, the work I was doing there was more like ... it wasn't so much software design, which I mostly focus on now. It was more like doing websites. And just doing the creative, mostly. So, you'd basically be the one who says "Hey, we're working for Joe's Plumbing. Here's the font that Joe likes." And you'd put together Photoshop documents. Would you also convert them or are you mainly delivering fat Photoshop documents to web developers, and then moving on? Yeah. I remember when ... So, going back to the informational interview I had. The moment it turned into a job interview, there's that transition in that part, and I got all excited. He asked if I code. And I knew a little bit of code. I coded enough to build my own personal website, and that's all he wanted to know. He saw my website. He saw that it's probably not the best code, but he made it. And and I didn't need to code for the job. But he liked that I coded, because it just made it easier to communicate my ideas to the developer. And probably also, because you understood the constraints that the developers are under. One of the things I said, when we first started working with you one, of the reasons that we were excited to work with you, and we'll get to here eventually is, because you were a designer who understood that for example, you can't deliver something with an image that would theoretically have to go wider than the browser, but you didn't give us what the image should look when it goes wider than the browser, right? Like when the browser gets a little wider. It's so clear what it's like working with a print designer, who doesn't understand ... not even responsiveness necessarily, but just like, you literally can't curve a thing that way in HTML. It's literally not possible. As someone who understands what it's like to implement something, your brain was set in a different space, I think. Yeah, I think so, because everything was print design back then. There was no responsive design. Yeah, that's for sure. And everything was ... even if you wanted to use a custom font, you embedded it as an image. So, I was a big font guy. I didn't like using just the web defaults. So, I always searched for new fonts, and I'd export that as an image. So, I did a lot of the exporting stuff. and, but then yeah, I'd usually hand that off to the front end developer. And I was, when I was working there, I was the only designer at the company. It was a small company. I think, there's eight or ten of us in total. Built the front end, maybe integrated CMS, deliver it, move on to the next client? It often works that way. Yeah. So, I was doing a lot of that stuff. Okay. So, what was your next transition after that? I mean, did you stay at that job for a couple years and regardless, what made you want to move to something Different? Because now it's so different. We could have sold our house then and had no mortgage whatsoever and moved back here. But whatever. [crosstalk 00:23:14] you could predict the future. But I wanted to move back to Kitchener, Waterloo. First of all, Kitchener had this ... we have a little bit of a tech scene here. Blackberry, you know Blackberry? They put our name on the map, our city on the map. And we have at the University of Waterloo. So, a lot of trucks, a lot of engineering talent. And this created this little tech community. And I saw this from Toronto, and I was really interesting in it. But there was no design whatsoever. It was all engineers, right? And I'm thinking "I could have a huge competitive advantage if I go there. There's no designers whatsoever." And there was a company ... So, I was interviewing at a company called "Desire to learn." And they're an educational company. [crosstalk 00:24:19] it might be me. Oh okay. Sorry. Keep going. And are you familiar with Blackboard? Can you give a real quick intro to anybody who hasn't heard before though? Yeah. It's e-learning software. When you go to school, it's your login portal, and that's where you can get your grades and your assignments and all that stuff. And I even used Desire to Learn when I was at Fanshawe. That was one of their first clients. And I had a friend working there and I was really interested in the company, but they never had any design either. I was their very first visual designer. But, to step back a little bit. My friend recommended I apply for this job. So, I applied for it. But at the same time, the company I was working at, we had a really low time, it was not good. And right when I got offered the job, the day later, my boss, before I even got to go into his office and say "I'm quitting." He basically said I gotta lay everyone off. We're closing the doors. So, it was like the same day. I'm like, "Wow. Perfect." So, I had a little tweak break there, before I started my new job, because I basically I said "I have to put my two weeks notice in." And then turns out you didn't. I think, I had a week. We were still wrapping things up and I had nothing to do. Okay. So, you moved back, because you said Desire to Learn was in Kitchener. Yeah, moved back to Kitchener. But my wife was still working in Toronto. So, there's a little bit of ... I moved him back in with my parents that summer, is when I moved in. And Caitlin was still in Toronto, living at the place we were renting out. So, the summer we were living a little bit long distance, but I mean, we were an hour away from each other. So, I saw her on weekends and stuff. And she was interviewing locally at that time. And I started my job as Desire to Learn. And like I said, I was the first designer there, and UX was such a buzzword at this time. No company understood. They're like we need to invest in UX, but no one knew what it meant. And I worked at that company for two years. And in the two years I was there, I don't think anything I actually did saw the light of day. It was one of those situations. And it maybe has since I've left right? I've made these projects and they were sitting there, and you could work on them. But yeah. And right when I was leaving, they hired a ... I think, they have a good design team, now. They grew their design team since I have left them. I was getting burnt out. And I was really passionate about what I was working on. Where I took my work home with me. And it was so frustrating to not have any of my work see the light of day. So, that just burnt me out. And plus, other factors were going on in my life where, we were renovating our house. And I'm not sure if you've been through a process like that, but never again. It's definitely a second job. And it's a second, more stressful job. Yeah. So, it's just all these stressful things in my life, to the point where "Man, let's just get out of this city and let's go move to California." And I even went for a job interview in California. They flew me down and stuff, and that was kinda fun. And I didn't get the job. I think, the reason I applied for the job was because I was just depressed, and I just wanted something to change in my life. Maybe some change will make everything better. Yeah. Yeah, right? But once I left my job at Desire to Learn, and the house was done, we finished renovating the house, everything settled down, and I felt good I didn't make that decision. So, when I left Desire to Learn, I went to an insurance company, a local insurance, well not a local, it's a Canadian insurance company. Well, do you guys have Sun Life in the states? Sun Life? Sounds familiar, but I'm not sure. Maybe, because I've talked about it. Yeah. So, it's an insurance company. And it's just a huge company, a huge Canadian company, thousands, tens of thousands of employees. Are they based out of Kitchner as well? We have an office kitchener ... I say we as if I still work there. There's an office of Kitchner. I don't even know where the head office is. In Toronto, maybe. But there's offices all over Canada. And I worked there for two years. And when I started that job, this is when I started freelancing with you guys, Titan. And it was around that same time and it's around the same time I met Adam. And I'm trying to think of a way to tell this story that has this nice, seamless, flow, but I'm trying to remember everything that happened. So, let me let me turn it and maybe this will help you out. So, a lot of us, when we met you and Adam. So, Adam worked at Titan, I think, when I first heard about you. So, he would say "Yeah, I got these buddy that I'm working with, and we do these design things together blah blah blah." So, we just started hearing your name more and more often, and eventually he's like, "Yeah, why don't you guys, consider pulling him in for something?" So, we would and we're like "He's really great." So, we had this idea, especially because, I actually meant to mention this to the listeners that this Kitchner, Waterloo, that whole triangle, is really weird, because there is an excessive amount of technological ... I don't know if I want to say excessive amount of talent, but I don't know. But there's an excessive number of people who do the type of work that I do in that one little space. You're there, and Adams there, and Vehicle's there, and all these other folks are there, and every time we open up a job posting. It's a guaranteed that at least several of the qualified applicants come from this little tiny circle, out of the entire globe. This little tiny circle. Well, it's like I said, we do have this tech thing going on here, and I don't want to say it like ... people will say "Well, we're the Silicon Valley of the north." But everyone says we're the new Silicon Valley. But it's like "No, but there definitely is something going on here." And I hear a lot of people say like, "Oh, we've got a nice little tech community." People say that about my local town here. And what they mean is "We have more than nothing." But that's not what it is where you are. There is seriously a lot of people all doing the same stuff there. [crosstalk 00:31:13] no that's not true, yes. Why don't we come at it from the angle of how did you meet Adam in the first place? So, I met Adam, because ... I was always working on a lot of side projects. So, when I was working at Desire to Learn, I'd be working on my ... I'd spend a lot of time working with just startups, helping them out, and just getting my hands dirty, right? And a friend of mine that I went to high school with, his name's Chris Albrecht. And I always wanted to work on projects with him, but he was always busy. He had a kid at this point. He was always doing house renovations. He's one of those guys that's good at everything. He can build a house, and he's a developer, and he's just ... and you want to hate him for it. You don't, because they're also good at being a wonderful person, but you want to hate them a little bit. And that's the problem. Yeah, you want to you want to hate him. Good at everything. But then he's just an awesome person, so you can't hate him. So, like "Well, God, man." But he took a a software development course at Conestoga College, which is a local college. And that's where I met Adam. And, I think, the two of them were the top of the class. So, Chris talked very highly of him, and he said Adam works on a lot of side projects like I do, I should connect with him. And I said, yes sure. And I just sent Adam a message on LinkedIn, and it's funny, I tweeted that recently, the the message I sent to him. It's funny when I re-read it, because I dug it up, and I re-read it. And it's not how I talk to him, at all. It's like, I'm really proper. Yeah, I was gonna ask if it was was really formal. Yeah it was a really formal, "Hey, we should connect. I heard a lot of great things about you. I hear you're a good designer, and you're a good developer. It's a really rare combination." And now we just talk like bros. But it was funny reading that and I just said "We should meet up and grab coffee." And I just showed him some of the work I'm doing, and he showed me the stuff he's working on, and I said, "We should work on a project together, just to get a feel for each other and see what it's working with each other, and maybe about can turn into something else." And, I think, the very first thing we worked on was, he happened to be working on this Resume Builder app. And I had this idea for a Resume Builder app, and I was designing one, but they're both separate projects. And we're like, "Well, we're working on the same thing. Why don't we build this together?" And we never took it seriously, right? We just wanted to get a feel of what it was like to work with each other. So, we did it, and we got it half done, and that will never see the light of day. Yeah. Nut I did like working with them. That's what we learned about each other, right? I really like that he's got a really good sense of design, and I have that way of ... we talked about earlier that, I understand a little bit of code. So, I can communicate with him effectively. So, I think, we had that good dynamic that worked well together. And, I think, I met him ... I'm not sure if I met him when I was working at Desire to Learn or when I went to Sun Life, but ... no, I met him when I worked at Desire to Learn, because the reason I went to Sun Life, it's like I was going there because, A) it was a pay increase. So, that was nice. But I knew I was going into this big company, that was just a huge bureaucracy. I'm going to be miserable there. But I went there, because this is around the same time I was talking to you guys. And I'm like, "Well, I can make this transition into freelance maybe." And you guys were my first starting point there, and what brought me to Sun Life is "Well, I'm going to work my nine to five, and when I get home from work, I'm going to turn that off. And then turning that off and then I can work on freelance projects." And that's what I was doing for you guys. And that's the type of job you want to have, if you're going to start that transition to freelance, is the type of job where you can turn it off at the end of the day. Which, if it were your soul thing, it would be worse, because you want a job you love, but if it's the thing that's helping you transition, you actually want one that you don't love and you don't care about, that goes away. That's really interesting. You weren't emotionally or mentally tied to it, other than showing up and doing the things you should do to get the paycheck basically. So, this is where you get more familiar with where I come into the picture. Lets pretend like I don't know it. So, I'd work on a few projects with you guys, and I was also doing a few projects with Taylor. And, I think, the first thing I did for him was spark. I did the first Spark website. I did the website and I did a logo for him. And, I think, I did that before I started work with you guys, because Adam recommended me to Taylor, and then he recommended me to you guys. And I knew nothing about Laravel at this point. I only know about Laravel, because of Adam. Adam got Laravel famous. And I said, "Hey man, I come with you?" Yeah. So, I remember that you were doing that transition stuff. When did you leave Sun Life? What was the the moment right? Because I was talking ... I did a few you projects with you guys. And then I'm not sure who suggested it first, but we basically had an arrangement. I think, it might have been you who suggested it. It doesn't matter. But you guys wanted a designer, because you never had a designer at your company. And Taylor just wanted an ongoing designer, but neither of you had enough work to fulfill a 40 hour week. So, the arrangement was, well, I do one week with Titan, one week with Taylor, and then I'd have an off week to go find any other freelance work. So, we had that arrangement worked out, and then you guys matched my salary at Sun Life. So, it felt easy going into, it was easy to convince my wife it all worked out. So, I made that leap. And that's what brought me to that thing, an I've been working with you guys for ... how long have been with you guys for now? Has it been two years with this arrangement? It's funny. I've been with ... every job I've had has been two years. That's it. That's your magic number. Yeah. I think, it's been two years. Because, I think, we did one year, and at the end of the year, we thought about it, and we re-upped it. So, it's probably been two years this way as well. Yeah, and, I mean, we're on pause right now, right? And that's ... we're talking about that shortly. So, I was doing that, and I don't know ... next question, I guess. So, I think, that worked really well, and, I think, it was really great for us. I mean, that's a curious business thing that anybody else can ask any of us more about, is that idea where Dan and I since ... Dan and I are both liberal arts Majors, with the design aesthetics, who are programmers. So, we always wanted a designer. From the earliest days of Titan, we wanted a designer, but it was hard for us to really justify at the beginning. So, this was a really cool way to do this transition. And now we have a full-time designer, and have had Steve working with us for a while. But it took us this kind of experience to start building design into our workflows, and our ways of building. So, just anybody who's curious about that, it worked out really, really, really well, for us. But the next part of the story was what you used in that third week. And that third week, was a combination of, I think, finding other clients, but also starting to become not just Laravel famous, but eventually just web development, broad internet famous, and then there's books and stuff like that. So, where were you thinking? What was your approach? What was your attack? What was your mindset? What were the first steps you took to start using that time and start garnering a reputation? Yeah, I think, for the first year, I was doing a lot of ... I was just doing ... I was using the time for freelance, and I was finding new freelance clients. And I don't even remember any of the projects I did in that time, even though it was like a year ago, probably. Two years ago. But they're just a little one off things right? But it was still ... the tricky part about that thing. It's like, well, I work on a freelance project for a week, but there was more to do after working after that week ... For you and Taylor, we all had this understanding. Well, I'll be back with you in two or three weeks. But when I get a new client, it's like, well, I had to be ... Full disclosure. I have this [inaudible 00:00:28] going on, so I can work with you this week, but I won't be back with you 'til the following week. And they had a deadline, so it's like ... Well, I don't know how long I could do this for. I could only pick certain projects that last ... It was hard to find clients that worked that way. [crosstalk 00:00:40] one week or less at any given moment. Yeah. So what I spent my time doing is just working on my personal brand, or working on little side projects, and the first project I did was Hero Patterns. That was a website for ... It's SVG background patterns. You can go on heropatterns.com and it's just a bunch of patterns that you can use for a hero background or whatever you want to use it for. I built that just as a fun project. I wanted to learn more about SVG, so that seemed like the right step, and I just wanted to add it to my portfolio and add to my personal brand. Then I released a bunch of icon sets. That's what I was doing in that time, just working on free, open-source projects. Yeah. And those took off pretty quick. I remember seeing Hero Patterns, and I think [Zomicons 00:01:40] as well, on things like CSS Tricks. So it was pretty early on that you were releasing these things, and they were getting picked up pretty broadly. Yeah. Well, the Laravel community has certainly helped with growing my Twitter following, because it's such ... The whole community is really active on Twitter, first of all. Then I had Taylor and Adam retweeting my stuff and that really helped. Taylor had probably 50,000 followers at the time, so it all helped. I was growing my following there, and then Hero Patterns was getting posted on Product Hunt, and that really helped. From there, where does that bring us to? I was doing all these little open-source projects, and then I started doing the tips. Let's move up to that, 'cause I don't know what else ... Oh, I released another little project, Heroicons, which is like SVG icons, marketing icons ... They weren't meant for in-app experiences, but more if you go on a marketing page, and you're showing a features section. You can put the icons there and customize the colors. I thought it was a pretty interesting idea when I made it and it was a fun little thing, and I could make some money off of it. I released that and it did okay. I think I made $10,000 in the first few months, over that period. But Adam was launching his books and his courses, and they were doing insanely well. I saw him doing that and I'm thinking, at this point, I think I could maybe do a design book or something like that. I had all these ideas for what a design book could be for developers, and I was sharing these ideas with Adam. He encouraged me to build my following first. 'Cause that's what he did and that's what made his launches so successful. He proved that what he was making was worth it. I started doing the tips on Twitter to prove that I know what I'm talking about, and I can provide little ... Basically the tips, if you're not familiar with them, they're little bite-sized design tips. Here's a before of something that a developer might design, and here's an after of how you can improve it. It's like, take it, instant improvement, instant gratification, and they've evolved over time. The first tips, I was working on a project for you guys, let's say, and I'd take a screenshot of that project I was working on and post it and that was it. Immediately, they started doing well. People started seeing them and they were like, wow, these are pretty useful. Then they just grow and grow and grow. The tip idea, by the way, I stole the hot tip idea from Adam, 'cause he was doing hot code tips, and he stole it from Wes Bos, 'cause Wes Bos has been doing it for years. I talked to Wes Bos about that recently, and he said he stole that idea of a tip from someone else. Yeah. But he made it his own by adding the fire emoji. But now people think I created the fire tip and there's people copying me. It's all great. It all grows from there. Then, like I said, I was working on these projects, and I'd maybe work on something and I'd see, well, that's an interesting insight, and I'd take a screenshot of it. But then they became a higher quality thing. Well, in order to communicate this idea, I need to make this own little thing specific for this. Compose the tweet with all the ... You made a little graphic side-by-side with all the bullet points and everything, right? Yeah, exactly. So the very first tips that I was doing, I'm just doing them and not thinking of it, and then Adam would bring in a lot of ideas. He'd share his ... This would be a cool tip for you. Then we'd work on it together, and then they became ... with both of us working on them together, the quality went up and up and up. We'd try to make each tip better than the last, so they eventually just did really well. I think the biggest tip I posted got 13,000 likes and 3,000 retweets. Holy crap. I knew they had gotten big but I didn't realize they'd gotten that big. That's by far the biggest one. At the beginning, they were getting ... The very first one I ever did, 40 likes. Then from there, it got 100 likes. Then it was 300 likes. I'm like, whoa. That's so big. Now today, it's like I can't post one without getting at least 2,000 likes and 300 retweets. Yeah. They just spread so far. The last tip I tweeted, people are hijacking the first comment, 'cause they know ... They see a little fire emoji in the tip, and they're like, first comment. At least it's first comment, and not, do you see this? You should go to my course, blah blah blah. No, it was a friend of mine who's just joking, 'cause on the Kanye posts, people try to hijack it with their art. Yeah. That's awesome. I wanted to point out something really quick here. I think one of the reasons that these spread so much is that, first of all, they're really high quality. You really know what you're doing. There's not a lot of people talking about it this way, and they're really easy to digest and apply. So there's one aspect. They're just really good tips, broadly, this is a really good idea. But I think the other piece about this is that your tips ... You mentioned the fact that [inaudible 00:07:38], there was a lot of dev and not a lot of design. 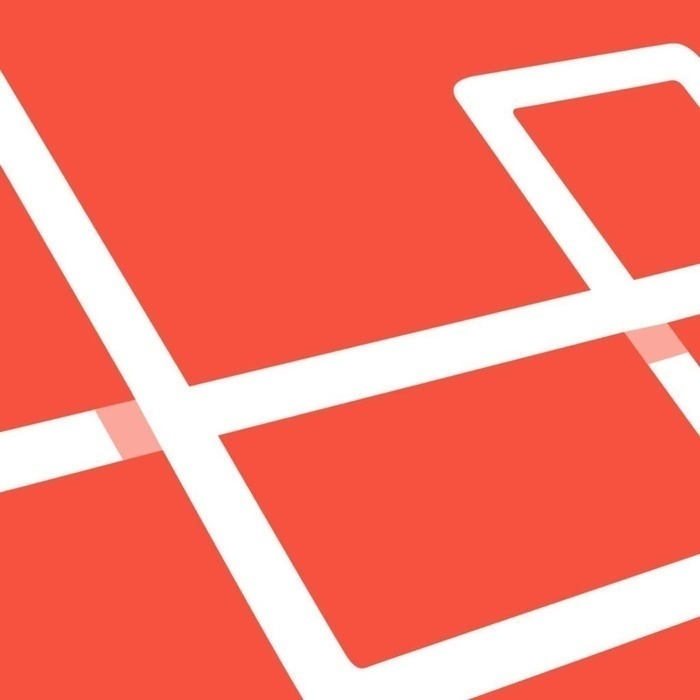 We have talked about this for a long time, about the Laravel community and other programming, especially back in programming communities. I have clients all the time that say, yeah, you can tell this was made by a developer, referring to something that they have that they're asking us to fix up. That means something. "You can tell this was made by a developer" means it doesn't look good, it's hard to understand. The information density is bad, the flow is not good. There's this very big issue, with us as developers, knowing how to put stuff on the page, but not really knowing how to make it and such so that it's going to be ... not even just enjoyable, but understandable for the end user to really get the information out in a reasonable, pleasant way. One of the things I love about your tips and a lot of your teaching is I think it reflects the fact that you do understand developers, and you do understand development, and you do know code, and you know enough developers and work with enough developers to know where our shortcomings are. You're not just putting out generic design tweets, but many of these tweets ... not all, but many of them ... are explicitly useful for people without a design background who are put in context, that because we're application developers, we need to build user interfaces. We don't know what you're doing. I feel like a lot of basic design tips people give tend to be relatively useless to developers 'cause it's the same three things you've heard over and over again, but you really narrow in on practical design tips that help application developers. I wanted to point out that that is something I think probably comes intentionally, but also probably comes a little bit because of the specific background you do as a tech-adjacent designer, right? I'm more or less the face of Refactoring UI, but it's honestly ... Adam and I are doing it ... Basically, the tips are ... From the birth of a tip idea, me and Adam will be ... Adam might point something out to me and say, this is an interesting little insight, and I'll have a sketch file of all my tips. I'll be able to either take a screenshot of something and I'll passively work on it until it best communicates the idea, and me and Adam are going back and forth at this point. Then there's the tip launch day, that we decide we're going to post ... That's a two-week process before we get ready to post it. Then me and Adam jump on a call and spend some time figuring out, how do we want to work this? How do we frame it in a way that communicates it? A lot of time gets put into these. But, yeah. Certainly, I have that kind of background that helps communicate to developers. But I don't want to discredit Adam whatsoever. He's equally involved in that process, and he's coming with his developer point of view. Like I said, he's got a really good sense of design as well. And to be fair, some of the tips we've posted, I never even thought of them as tips, 'cause I'm so ... I have a designer mindset. Yeah, exactly. Some of them ... It's like, one of the tips, for example, is offsetting a box shadow to make it appear like a light's coming from above to make it look more natural, right? And he suggested that tip, that was his idea, 'cause I never even thought of it as a tip. I'm like, I just do that. It's just second nature. I don't even think about it when I do it. Doesn't everyone do that? There's quite a few tips like that, where it's like, I never even thought of it as a tip before, as something insightful. That's cool. One of the things that I pointed out to Adam that he does intentionally, but I don't know if everybody recognizes, is that he has a talent for ... We haven't actually said it. This is Adam Wathan, in case anybody happens to listen to this podcast and doesn't know who Adam is, which I kind of doubt. It's Adam Wathan. He has a knack for recognizing what everybody in a particular community doesn't know, and everybody in another community might know, and then bringing the stuff that the other people know into the community where they don't know it. Refactoring to Collections, if you were to sell that book to someone in a community where they use collections pipelines for everything, they'd be like, why would I spend money for this book? But Adam understands how to bridge that information, so part of his talent, I think, is helping bridge the knowledge that you have as a talented designer and a tech-adjacent talented designer who does have a lot to offer. But he's also able to help you bridge that gap into developer mindset. So I love that you brought that point up. Yeah, I think that's very accurate. Adam's probably the best teacher I know. Him and Jeffrey Way are the really good teachers. Adam's probably one of the smartest people I know, and him and my other friend are the smartest people, I know, but the other guy that I'm speaking of is ... He was almost an astronaut. So that's who I compare Adam to. They're both completely different. He couldn't do what Adam does and Adam couldn't do what he does. Well, you mentioned Refactoring UI. That's a perfect segue. So, hot tips was a big thing, and then you and Adam decided you guys were going to make Refactoring UI together. A lot of people have questions about that, you did just launch it. Before we talk about how it started, what did it end up being? If somebody's never gone, what is Refactoring UI right now that they can go purchase? Yeah. Refactoring UI is sort of a package. It was pitched as a book, but that takes all of the ... pitched it as a book to help developers get good at design. But we made this whole package, this whole resource for developers to help them make their designs better. So there's the book aspect, and that's probably the main component that everyone's familiar with. But then with that, we provide color palettes. So a big problem with developers is they don't know how to choose colors, so we just provide a bunch of color palettes for them. We provide a bunch of font recommendations, and there's an icon set. So it's this big package that you can go pick up. Yeah. That totally makes sense, and it's good to know it's not just a book, 'cause I think that you guys said, what's the best way we can teach this? It's not just book, it's also resources that help you do the thing. And there's videos too, right? I think you mentioned that. Yeah, I didn't mention that. There's videos in the package. The videos are taking the ideas that are introduced in the book and applying them to a real-world example. You tweeted out a couple of those, so if somebody wants to get a sample, they can see what that's like. I think you tweeted some. Yeah, there is a one video available you can watch. We emailed it out to the mailing list, so you can sign up and you can get that. You can also check out, if you're interested in that kind of thing, I also have a YouTube channel where I do UI breakdowns, and that's all part of it. A month ago, December 11. When did it start, if you remember, and what were you originally thinking? Yeah. Like I said, I saw Adam get successful with all his courses and stuff, and I'm thinking, well, I could maybe do that with design for developers. So the original idea was, I was going to write a book. But I was bouncing my ideas back and forth with Adam, and it just made sense to get him involved in the project. And I think this was even before I started doing tips, I thought I was going to write a book. It only made sense to get him involved and make it a 50/50 partnership, 'cause he can bring his developer frame of mind to it, and to articulate the ideas that have much better than I could. Yeah. At that point it was still a book. What thinking process did you guys go to when you were starting to write this book that made you realize it needed to be more than just that? Yeah, very concrete, where in the video, there's a few more ideas that are a little more hand-wavy. What was the hardest part about writing this book, about this whole process for you? Making the book was a roller coaster of emotions. Well, you've been through this, right? I think early on, we had all these ideas of what the book was going to be. We spent so much time planning, and not enough just doing it. What we realized is that we should've just started doing it and let it just unfold, right? What was the hardest part? The book is more or less a picture book. There's more pictures than there are words. I made about 300 images for the book. And they're not just ... A lot of books will just take a real-world example, take a screenshot of it, and put it in their book. We had really specific points we wanted to communicate, so we thought the best way to do it is design a little UI for it. One of my goals with the images was to make it so ... First of all, I might design an entire UI just to communicate how to do a drop shadow. I thought it'd be cool if every image in the book is something you can go ahead and create yourself, challenge yourself to create that image in the book. And I wanted there to be a little bit of hidden gems within all the images. So it's like, oh, we're teaching you how to do a drop shadow here, or a box shadow, but I noticed in this little UI example, you had this, and I never would've thought to do that on my own. So there's a whole bunch of little hidden gems like that in images. That took a long time. The way we delegated work with the book was Adam wrote all the words. We worked on all the concepts together to figure out how we communicate these ideas, and Adam wrote all the words, and I did all the images. Some chapters will be like ... There's 200 words, but then nine complex images. So I just couldn't do any of the writing with the amount of time I was spending on the images. For sure. What you're saying is you did all the work and Adam just mailed it in, right? I'm just kidding, I'm just kidding. No, no. I couldn't have done it without ... Like I said, Adam is far better at articulating these concepts than I could've ever done. If I wrote the book myself, it would've been ... I don't want to say a failure, but it wouldn't be near as good. Yeah. And I want to attest to the fact that I know both of these guys relatively well at this point, and they basically disappeared off the face of the planet for weeks at the end there, because they were both putting in such long days. Tell me a little bit about that time for you. Yeah. Just for the listeners, I had my thing, gig with you and Taylor, and I think I sent you guys a note at the end of September, maybe? Is that about right? And Adam and I were passively working on the book at this point, but we realized it needed a full-time commitment. So I sent you guys a note saying, hey, I know you guys knew we were working on this book. We were getting towards ... gearing up launching this. So I sent you guys a note saying, hey, do you mind if I go on a leave, and you guys were fully understanding about it, and that was awesome. I feel like I'm in debt to you guys for that. No, dude. Not at all. Then that was in September, and we already had a launch date in our head. We wanted to get it done before the new year. We already announced that we were going to get it launched by fall 2018, right? And then I just worked on ... We worked on the book for three months there. There was a break in between where we were both ... And you were there too ... invited to speak at Laracon Australia. Both Adam and I made a bit of a family vacation out of that too. We spoke at the conference, but it's like, well, going to Australia is a once in a lifetime opportunity, and our wives want to come, so we brought our whole family along. I got to meet your families and I loved it. Yeah. That was a two-week break we had in there. Then when we got home, we realized ... We wanted to launch it at the end of November. That was the original goal. But we got back from Australia, we were like, that is impossible. There's no way to get this amount of work done in that amount of time, so we pushed it back a bit. We didn't actually have a date in mind, but we were thinking, we've gotta get it done before the new year, because if we don't get it done by ... If we didn't get it done in the week we got it done, then we probably would've postponed it to the new year. Yeah, 'cause it was just too close to Christmas and everything's too crazy around then. Exactly, exactly. Even at the time we launched, it was a little bit ... I don't know. Yeah. And we were just ... Like you were saying, we disappeared, especially in the last week. That was ... I didn't sleep for three nights, the last three days before the launch. I was up for 72 hours. I got maybe two hours of sleep in that period. Yeah. I saw you at the end of that period. No, and I was just neglecting my family. My wife was incredible about it. She even said, hey. Would it be helpful if I go sleep at my parents' for the next few nights, just to get out of the house, and you have time to yourself? She was incredible for that. Yeah. That was just ... I was trying to stay active on Twitter, 'cause I needed to keep promoting the book and make it look like I was still alive. But, yeah. Because we're pretty short on time, I try to keep these under an hour and we're going to go a little bit over, I want to ask you a lot more questions, but I want to at least push on this one thing. What did it feel like to put out your first big product, and what were you doing after the launch? Now that it's been a couple weeks, how do you reflect on that experience about having done it, about the launch day ... Does this make you want to go do something like this again, or do you say never again? How do you feel about it right now? I don't think I'll ever work on a book again, for sure. But I'm all down for working on projects like this again, big product launches. They're fun. I know when Adam did his Refactoring to Collections book, it was like, he was working on that in the evenings and stuff while he was working for you guys, then he had this unexpected huge launch, and that enabled him to quit his job with you guys and pursue that stuff full-time. That was pure excitement for him. For me, the build-up to this ... There was kind of an expectation that this was going to do well based on the ... Every time we posted ... Yeah, the hype was so seeded with it. So all the excitement was almost before the launch, and then after the launch, it was kind of like ... I'll say it was incredibly successful. But that success almost hasn't even hit me yet. Like I said, we were up for 72 hours prior to launching, and even after we launched, it was just support emails. We were working incredibly hard after the launch too. Now it's starting to settle in and it's starting to calm down a little bit, and now it's starting to feel like, wow, we did something incredible. It's not even just the success of the launch of the book and all the money it made, but it's also just ... I feel like we actually made something that is big. I feel like the thing that we delivered to the world was ... This is really going to help people, and we really wanted to make something that is going to hold up over time. We didn't want anything that's ... We tried not to be too on-trend in the book. We want it to be really something that's going to be relevant 10 years from now, you know what I mean? So that was our goal. That's hard to do, but we did our best at it, I think. I think that the best books that really tell that is when there's a book where the only irrelevance it would ever have is if the things that it teaches have become so internalized by everybody that you then read the book and go, okay, well, yeah. I already knew that. And I think that is the most likely case, if anything, of its irrelevance, is these things become known. There's a couple technical books. One is How to Make the Web Faster, I think it was called, by Steve Souders, and there's one other that I had in my mind. Oh, Adam's Refactoring to Collections book. I used to have questions in our interview process that would best be answered by a collection pipeline, and then Adam released his book, and then after about six to nine months, those questions no longer helped me figure it out 'cause everybody read the book and everybody knew the answers. I think if there were any irrelevance of this book or this project going forward, it would hopefully be that so many people consume it, it becomes so well-known that it's still a go-to reference book, but a lot of people say, yeah, I learned that. I like that. Yeah. We targeted the book towards developers, but it also resonated with designers. A lot of designers told me that it appealed to them ... It's kind of the back to basics, almost, for designers as well. It's not just ... It's back to basics for visual design. Everything is so hand-wavy, all the information out there. But this is like, here's some concrete knowledge on designing interfaces, doing visual design. Sorry, I interrupted there. You had a question. No, no, no, that's fine. That was it. I have one big question I'm going to ask you at the end. But I asked people on Twitter what they wanted to ask you, and most of these, they're either silly or they're not appropriate for a podcast or something like that. But there are two I want to ask, just because. One of them is, how tall are you, from Johnson Paige? Not as tall as Matt. 6' 2", it's close. Another one. Aiken Roberts asked, what's the weirdest thing you put in a sandwich? Mayonnaise on a burger or something like that? Of course I put mayonnaise on a burger. You know that's Canadian, right? That's a Canadian thing? No kidding. I do it. But I remember ... I grew up in Michigan, and the first time we went up on a trip and I had McDonald's there, they put mayonnaise on it, and our minds were completely blown. We were like, why is there mayonnaise on a McDonald's burger? Yeah, that's Canadian. What do you guys use mayonnaise for, then? Sandwiches, usually. But just not burgers. I think mayonnaise and burgers are brilliant. My whole family does it. But it's not a normative American thing for sure. No kidding. So that's the weird thing I put on burgers. There you go. Okay. Jesse asks, who is your favorite high school teacher? I guess Jesse went to high school with you. Yeah, so ... Yeah. We were talking earlier before the podcast. I went to high school with Jesse, and my name started getting more familiar in the Laravel community, and he's already in the Laravel community. He reached out to me one day saying, are you Schoger from high school? And sure enough. That's so awesome. But I am curious, not just because I want to tickle his fancy about high school, but what ... Did you have a subject in high school that you really liked or a teacher you really liked? Yeah, my favorite teacher in high school was my art teacher. His name was Mr. Garry. I think he just saw the best in me, I guess, and that's ... 'cause I was kind of a shithead in high school. I was not a good student. You're a rock star, right? Yeah, exactly. He just saw the best in me. I hope he's doing all right. The last question, other than, how can people follow you, which we'll get to in a second, is ... Let me see who it was that asked it. I should credit them. Sebastian Cozul asked, what's next? What's next? Right now, the past few weeks, I'm doing some Refactoring UI updates. Expect a few updates with that. I want to get back into YouTube videos, I want to get back into ... I'm working on a project with Taylor next month. The next thing I'm working on, the next big thing I'm working on, is I'm going to be helping Adam with Tailwind stuff, and we're going to be growing that. I'm not going to announce anything, but we've got some big stuff happening with that. So if somebody is curious about that big stuff that's happening, how should they best follow you? You can follow me on Twitter, I'm very active on Twitter. @steveschoger, yeah, that's my handle. You have an email list that you prefer they join right now? Yeah. You can sign up at Refactoring UI ... We have two email lists there. We have the refactoringui.com, go to that site and there's ... just to get general Refactoring UI updates. Like, if I do a YouTube video, we'll send you a note. Then there's the book email. They're two different newsletters. So if you just want updates on the book, if you want sample chapters and stuff, it's refactoringui.com/book. Okay. But if they just want to follow what you're doing next, just refactoringui.com and sign up right there? I'd say the best way to keep engaged is Twitter, to be honest. Yeah, yeah. And if there's anything else ... Or, is there anything else that you would like to say? Anything we didn't get a chance to talk about, or anything you want people to check out or anything like that that we didn't cover yet? I don't think so. We talked a lot. We've been going for almost over an hour now. Oh God. Yeah, yeah, I think so. Yeah. All right, it's been good. No, no, man. They're going to sit through the whole thing. I don't care. They'll love it. They'll wish I had talked to you for an hour longer, just like I always do. Well, Steve, dude, it has been a ton of fun. It's been a ton of fun knowing you as a person and being able to learn from all this stuff, but it's also been a ton of fun talking to you today. Thank you so much for your time and telling us a little bit of your story. Yes, thank you. Thank you for having me.